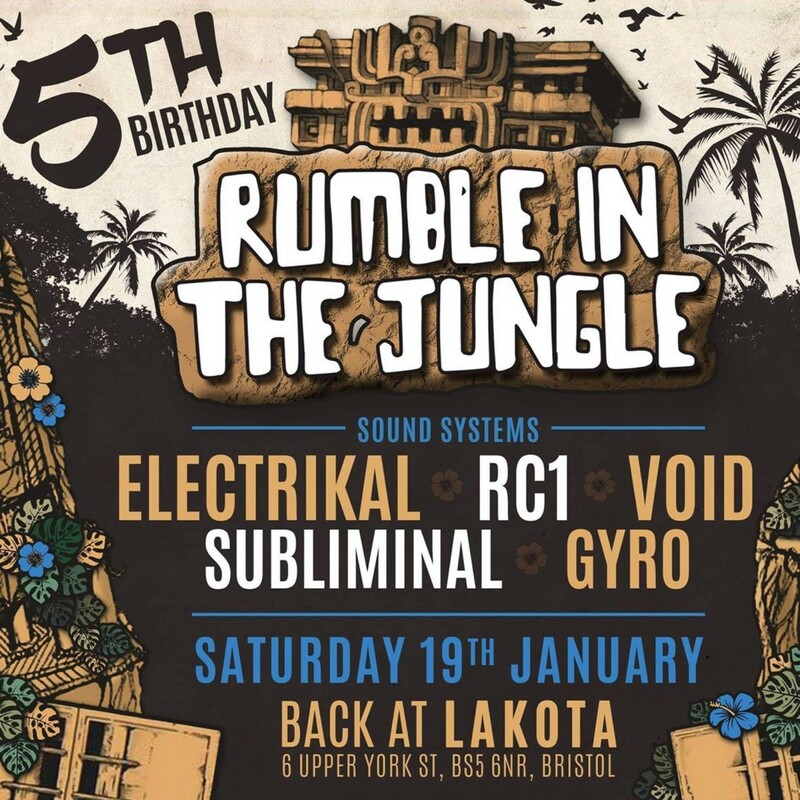 We return with another huge edition of Rumble In The Jungle, this time Celebrating our 5th Birthday. much much more with full immersive decor across all 6 rooms of Lakota & The Coroners Court this one is not to be missed. Sound quality is very important for us and We are very excited to bring you a full array of heavyweight sound from across the country throughout including the full Electrikal Soundsystem, RC1’s Active Sound System, NSL’s Air Vantage Void Sound System And Southwests Finest Subliminal and Gyro we got the bass weight covered. Full Line Up Dropping Very Soon! !